The latest 3D printing technology offers new hope for the 36,000 U.S. children born every year with congenital heart defects. This summer, physicians utilized a 3D model of a two-week-old infant’s heart to plan and carry out the child’s life-saving surgery. The successful operation was performed at New York-Presbyterian Morgan Stanley Children’s Hospital. “In the past we had to stop the heart and look inside to decide what to do,” Dr. Emile Bacha, head of cardiac surgery at Columbia Presbyterian Hospital, said in an interview with News Times. “With this technique, it was like we had a road map to guide us. We were able to repair the baby’s heart with one operation. “The baby’s heart had holes, which are not uncommon with CHD [congenital heart defects], but the heart chambers were also in an unusual formation, rather like a maze,” Bacha said. The key to this maze was found through 3D printing a replica of the child’s heart from MRI scans. The life-sized, plastic model allowed surgeons to visualize and plan exactly which incisions to make and where – alleviating much of the gamble associated with operating on unusually malformed hearts. The Connecticut-based non-profit Matthew’s Hearts of Hope funded the procedure. 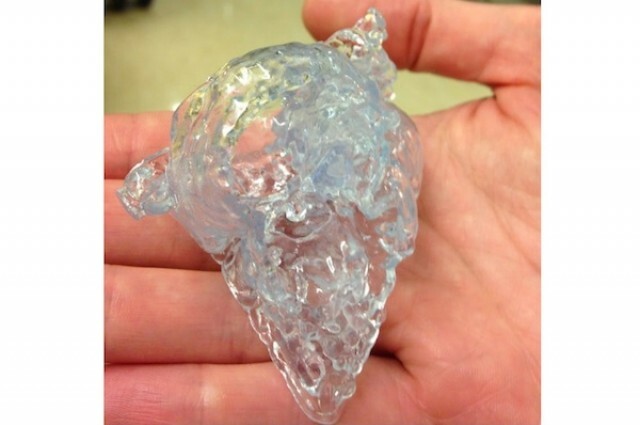 Dr. Erle Austin of Kosair Children’s Hospital in Kentucky used a similar 3D printing method to examine his patient’s heart before surgery. The process allowed him to “go through a small incision and work through that and do all of that surgery with a minimum amount of injury to the heart . . . . The child had an excellent recovery and was home after only four days and required no heart medicine. “If I went in and did surgery, took off the front of the heart and did irreparable damage, the child would not survive,” Austin said in an interview with Wired. Beyond heart models, the innovation of 3D printing has captivated every corner of the medical field – from replacement ears and hips to dentistry and skull implants. Some estimate the global medical and dental 3D printing industry will grow to be worth approximately $800 million by 2025.